At Paramount Creations we specialise in Kitchen, Bathroom and Laundry renovations in Canberra & the surrounding areas. We want our clients to have access to the best in customer service, the highest quality materials and the premium trades people in the area. 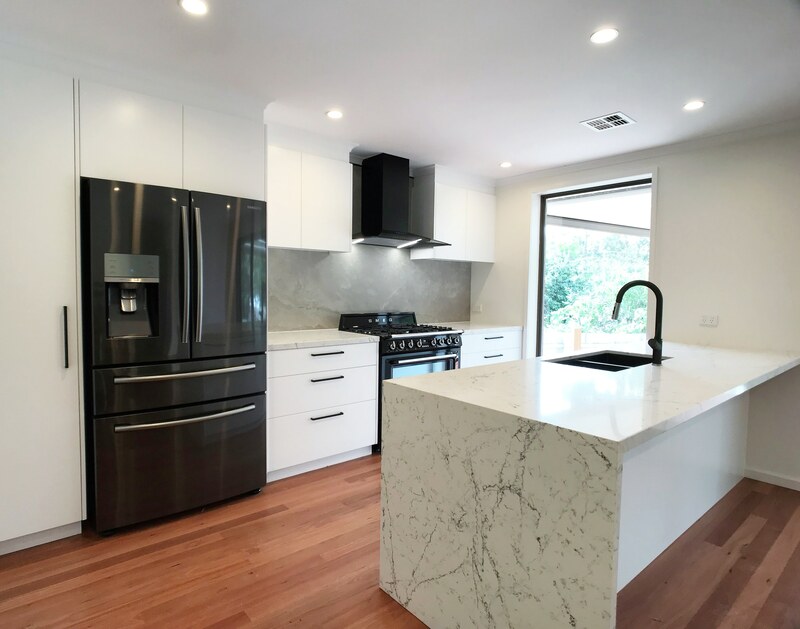 If you are looking to renovate your kitchen and would like some additional information, we have compiled some useful points below to help understand all aspects of the renovation. Whilst we would love to be able to renovate your kitchen for you, we understand that picking a kitchen design and project management team is important and you need to feel comfortable with them. Whether you would like to appoint us to help with your renovation or not, we hope this information is useful to you. If there is something else you would like to discuss or go into in more detail, please call our project manager (Dan) on 0404 606 290, alternatively shoot him an email at dan@paramountcreations.com.au. He will be more than happy to help where he can. 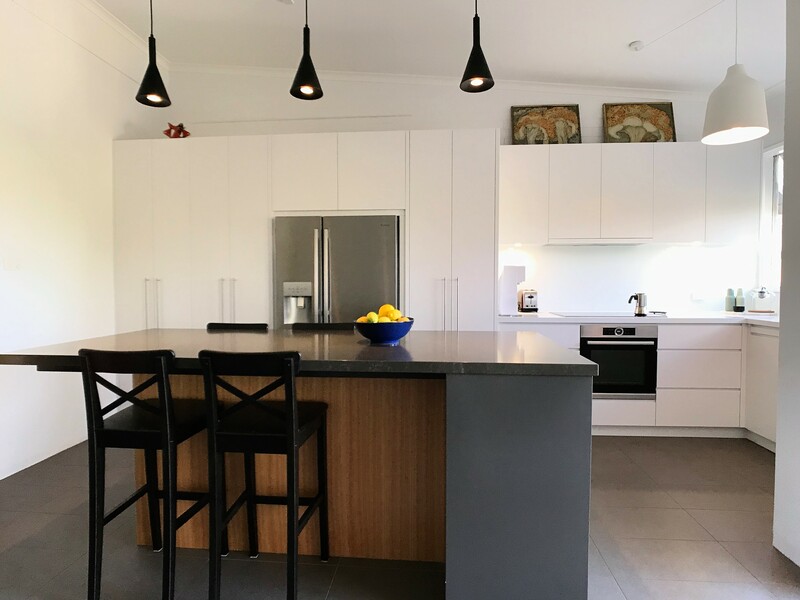 A common question asked is ‘How much will a kitchen renovation cost me in Canberra?’. Generally a full kitchen renovation will range from $14,000 to $26,000 plus appliances. 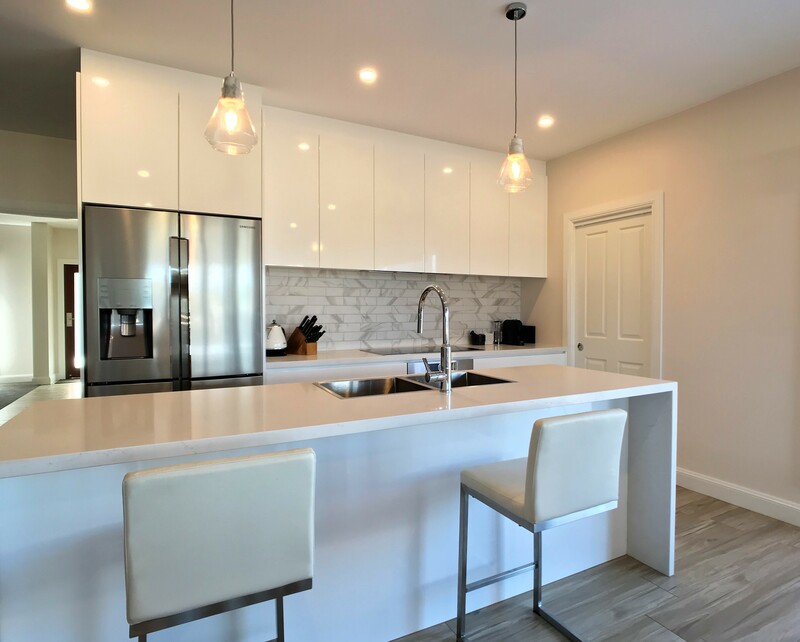 This will include removal of the old kitchen, the new cabinetry, hardware, doors & benchtops and will also include the trades required to do the work. This is just the average kitchen renovation, kitchen renovations can realistically range from $8,000 to $90,000+. 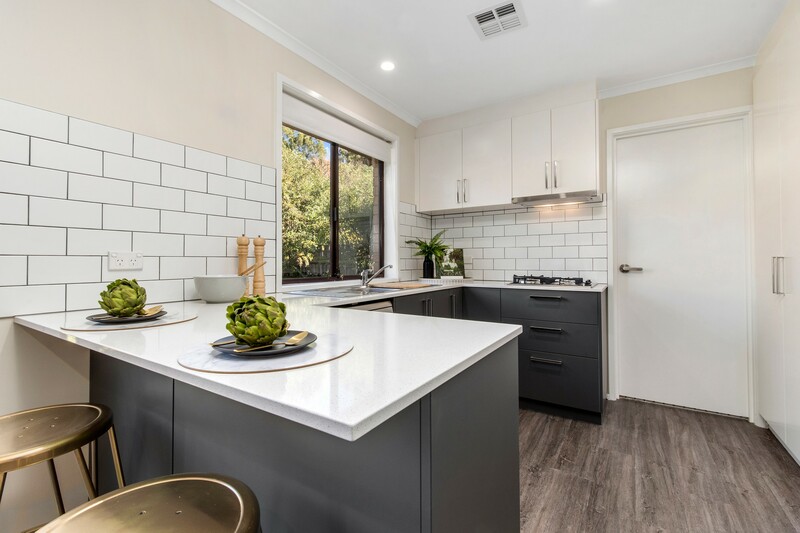 Kitchen size is obviously a big variable when it comes to price but other variables will be: Benchtop choice – Generally Stone vs Laminate (laminate is at least half the cost of stone). Door choices – most basic is melamine then vacuum formed or vinyl wrapped and then the most expensive door options are 2pac painted, veneer or solid timber. How much pull-out hardware will be used in the kitchen? Will the door finish be texture, matt or gloss?